The app Digital School will be soon available. Please register here to receive further information on the launch of the app. Use the app during class on your tablet or phone and at home on your laptop. Free of charge for teachers. 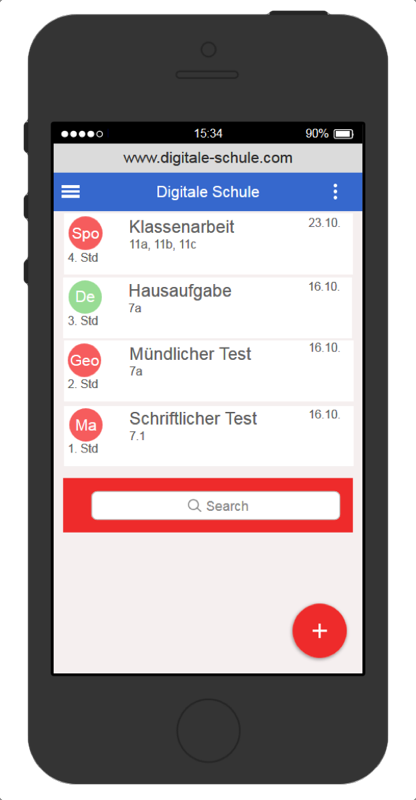 Grades* - Manage all grades with one app. Grade overviews and statistics like trends and averages available. Parental Confirmation of Grades* - Receive parental confirmations of grades immediately in your app. Messages to parents and students* - Use the app to send important information to parents and students. Homework - Manage homework with the app. 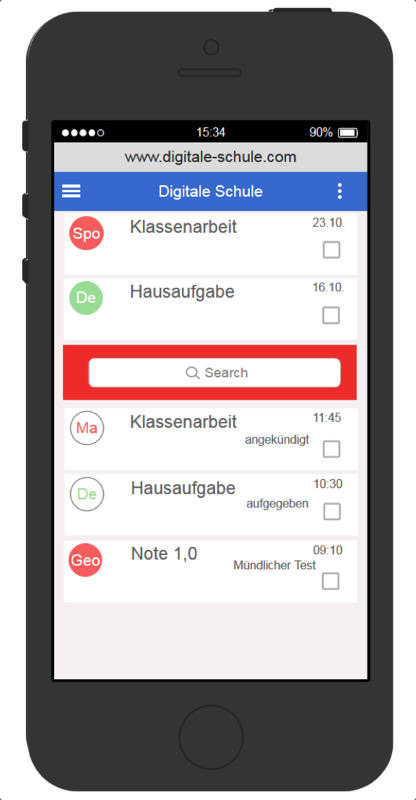 Planning of Classes* - Plan your classes and manage your teaching materials with the app. 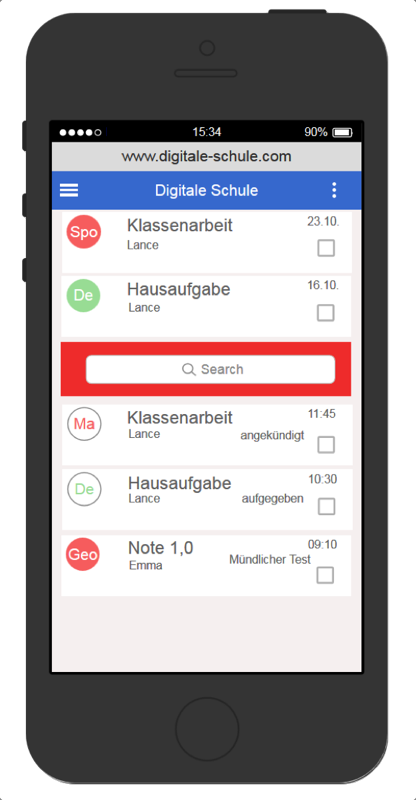 Absences* - Receive information to students’ absences in your app. Manage students’ class attendance. * This feature will be available soon. – Register to learn more. Get all the relevant information about your child’s school life in one app. Support your child in everyday life at school. The app Digital School helps you in doing so. All grades of your children in one app with statistics like averages and trends. Be aware of upcoming problems and avoid high cost for private lessons. Confirm important grades immediately in your app. Receive important information from school and teachers. Do not miss any important school information again. Support your children with their homework. The app gives you an overview of all the homework of your children. The app shows you all the course contents. Support your children repeating the course contents. Notify the school about your child’s absence without cumbersome phone calls to the school's administration. Receive schedules changes of your child. Never forget a homework deadline or a test date. Overview of all your grades, homework assignments and test dates. Grades* - All your grades with statistics like averages and trends in one app. Schedule Changes* - Receive a notification in the app when your schedule has been changed. Messages from School* - Receive important information from school and teachers. Important Dates* - Overview of all important dates like test dates and due dates. Homework - Overview of all your homework with their due dates. Course Contents* - Find all your course contents in the app and repeat important content. Management of classes, courses, teachers and students. Free of charge for schools. Das Vorhaben "Digitale Schule" wird durch das Land Sachsen-Anhalt als Projekt zur Gestaltung des digitalen Wandels in Sachsen-Anhalt (DigiProjekt-LSA - Digital Creativity) gefördert. Copyright © Digitale Schule 2019.